The Simpsons is having a moment. Entering its 25th season, the animated Fox sitcom has faded in and out of relevance, but its lasting cultural impact, like Martin Prince’s precious geode, must be acknowledged. The reason for this current round of Simpsons love is the 12-day marathon, which FXX kicked off Aug. 21. Until Sept. 1, the channel will air every episode, including the 2007 feature-length film. This Simpsonstacular marks the arrival of the series in syndication on FXX. Last year, the FX sister channel and 21st Century Fox subsidiary acquired the exclusive off-network rights to the show’s 552-episode (and counting) catalog to the tune of almost $1 billion. The deal not only means that FXX will be the only source of classic Simpsons reruns, but also includes the October launch of Simpsons World, a comprehensive streaming website also available via the FXNow mobile app. It’s a savvy move on FXX’s part. Since launching last September, the fledgling network has struggled to justify its existence, amid similar bro-centric networks like Spike, Esquire, and FX prime. However, this acquisition may be its salvation. The first day of the marathon gave FXX its highest single-day of ratings ever, tripling its audience, which according to Variety, made it the fifth most-watched channel in primetime that night. In addition to streaming all episodes, users of the app — which requires a cable subscription, and is currently only available to 60 percent of FX subscribers (sorry, Verizon customers) — will be able to view and share their favorite clips (possibly for free) and quotes, as well as access character profiles, and more. A shareable database of Simpsons clips has been a long time coming. From absurdist humor — “You’ll have to speak up I’m wearing a towel” — to cynical social commentary — “When are people going to learn? Democracy doesn’t work!” — there’s a Simpsons quote for every occasion. For years, fans have struggled to find their favorite clips online, too often being forced to settle for low-quality ones on YouTube. Now, it’s all one in one place. This may very well be the Internet’s crowning achievement. As the longest running scripted primetime series on American television, The Simpsons has seeped its way into the American consciousness like no other, leaving a lasting impression on more than one generation. For Millennials such as myself, The Simpsons has always been — subtly coloring our perception of the world in ways we may not even realize. Do you say “meh,” or find yourself singing “jingle bells / Batman smells” around the holidays? That’s The Simpsons, my friend. Personally, my sense of humor and the skepticism with which I engage religion, politics, and popular culture, was shaded in one way or another by the show. But why has The Simpsons endured? Why has a series that most diehard fans argue has been on the decline since the mid 1990s, managed to once again capture our attention? Because it’s that damn good. Because, when it was firing on all cylinders during its epic run from seasons three to nine (though I’d argue all the way to season 12), there was nothing like it on TV. Those episodes are so important, so essential to comedy that the show gets a pass for all the schlock that has followed. Once upon a time, The Simpsons was a marvel of comedic writing and trenchant commentary, holding a yellow mirror held up to society. There were no sacred cows. Politics, religion, the excesses of American culture: everything was fair game. And it was always done with a soft touch. The show never went for the easy joke, and never picked on those who didn’t deserve it. For a sitcom that started in the 1980s, it’s amazing how much of it still holds up, and how little of the humor feels, regressive or needlessly offensive. No major issues of sexism, homophobia, or racism (except toward the French) arise. The humor was enlightened, literate, and purposeful. 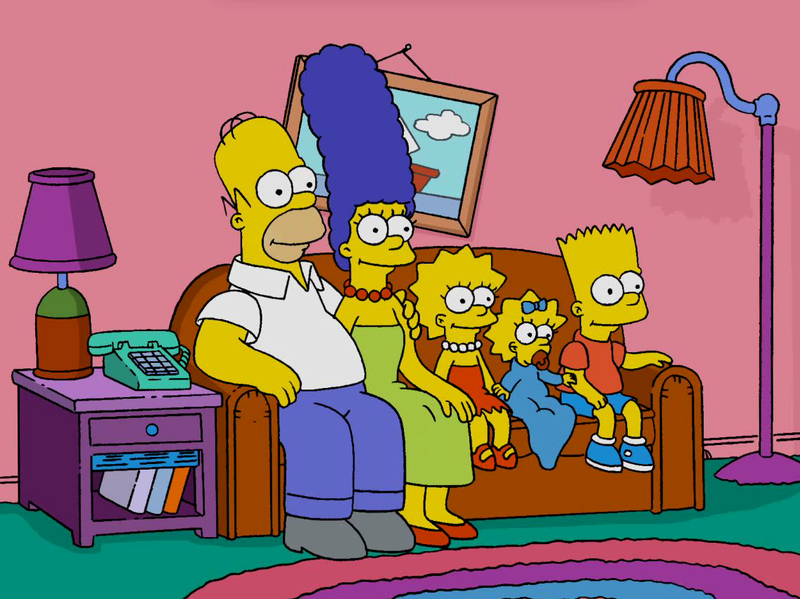 The Simpsons was the first to prove that cartoons could be smart, relevant and even moving. Allusions to literature, art, history, film, music, television, and more were ubiquitous — little rewards for all the nerds out there paying attention. The show was both cynical — routinely pointing out the foolishness of mob mentality, the hypocrisy of religious institutions, and ineptitude of politicians — and uplifting. Indeed, the show was often also incredibly moving. “Marge Be Not Proud,” the season seven episode in which Marge catches Bart shoplifting, still devastates me every time I watch it. I could spend the rest of this article discussing how spot on this episode is at capturing the mother-son relationship and that unbearable feeling of disappointing a parent. These days, The Simpsons might be best summed up with a word it long ago helped popularize: M-E-H, meh. It’s no longer essential viewing. I might catch a new episode from time to time, but with so much other great, relevant television out there, it doesn’t even make my Hulu watchlist. The animation torch The Simpsons once carried has been passed on. For smart writing, deep references, and mile-a-minute jokes, there’s Archer. For lovable characters, great voice talent, and an American family for the 21st century, there’s Bob’s Burgers (Seriously, watch Bob’s Burgers). Still there’s something that makes me happy that The Simpsons is still around. Despite its ups and downs, it’s still a fantastic show — easily the most important American sitcom of the last 30 years. That’s why people like me, people who walked away long ago, are so game to celebrate this current Simpsons moment. We want to share our love for this show with those of you who grew up with it but never checked it out, and with a new generation that has yet to be embiggened by its noble spirit.